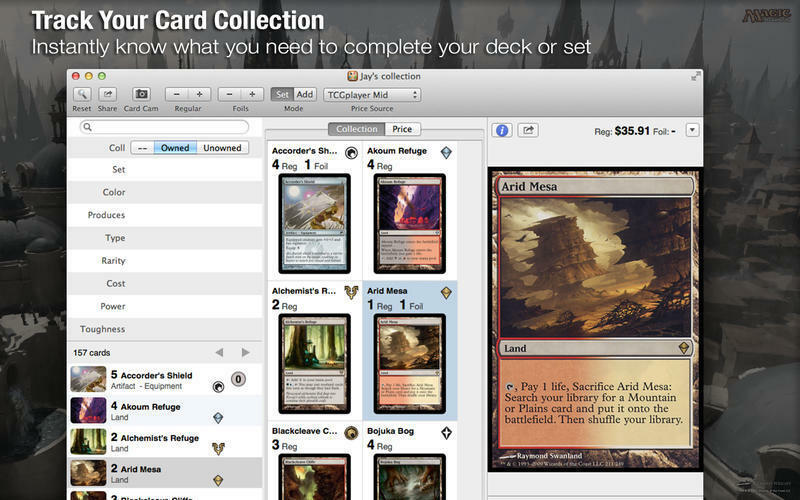 Build your Magic the Gathering deck. Is there a better alternative to Decked Builder? Is Decked Builder really the best app in Card and Board category? Will Decked Builder work good on macOS 10.13.4? 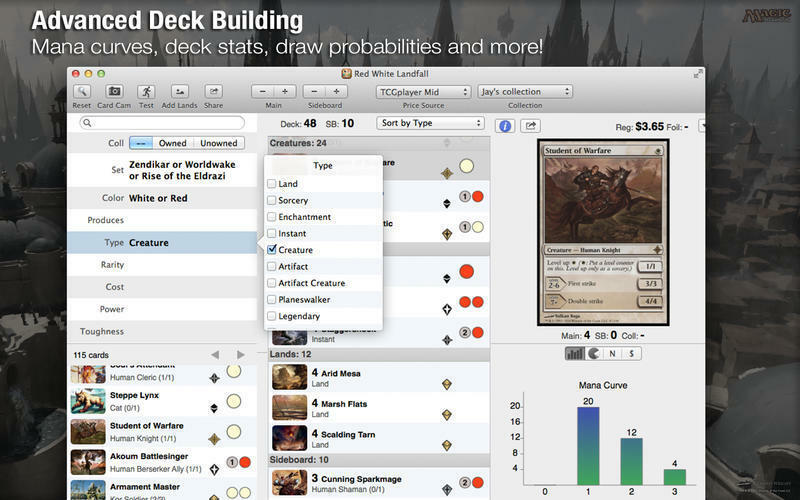 Decked Builder aims to be the perfect companion for your Magic the Gathering hobby, taking care of everything related to deck building. 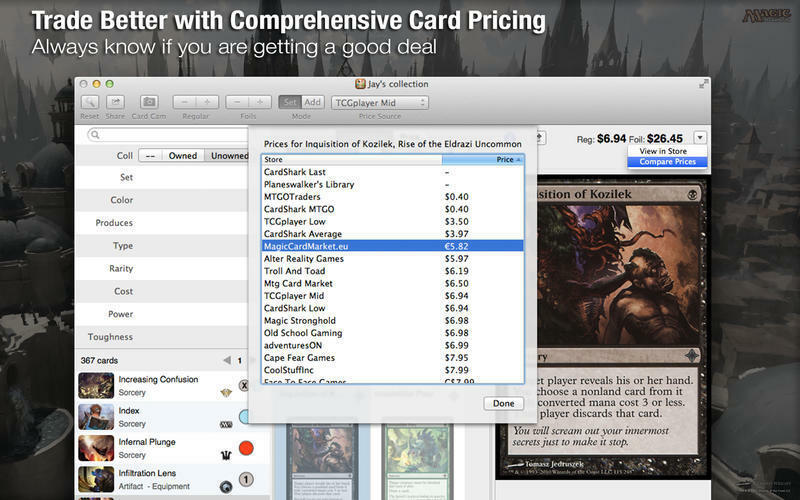 Use it to find the right card for your deck, together with pricing information so you will never be on the bad end of a trade. Keep up with the latest deck building news on the go with articles specially formatted for your iPhone. While reading the article, look up a card you never knew with a single touch. Build your deck with the latest combos to hit the scene, then analyze it, test it, and finally share it with your friends via email. Note: The downloadable demo is at 3.6.6. The version available for purchase on the Mac App Store is version 3.4.0. Decked Builder needs a review. Be the first to review this app and get the discussion started! 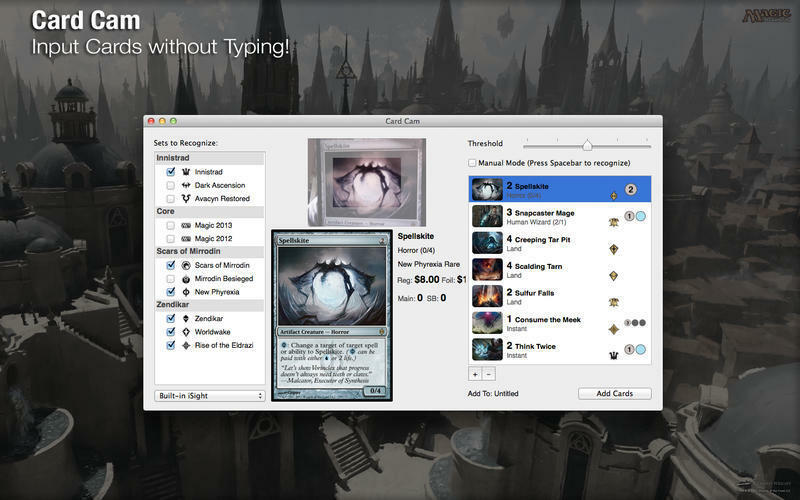 Please note: the Lite version of Decked Builder comes with Magic 2011 and Zendikar block cards loaded (Zendikar, Worldwake and Rise of the Eldrazi). 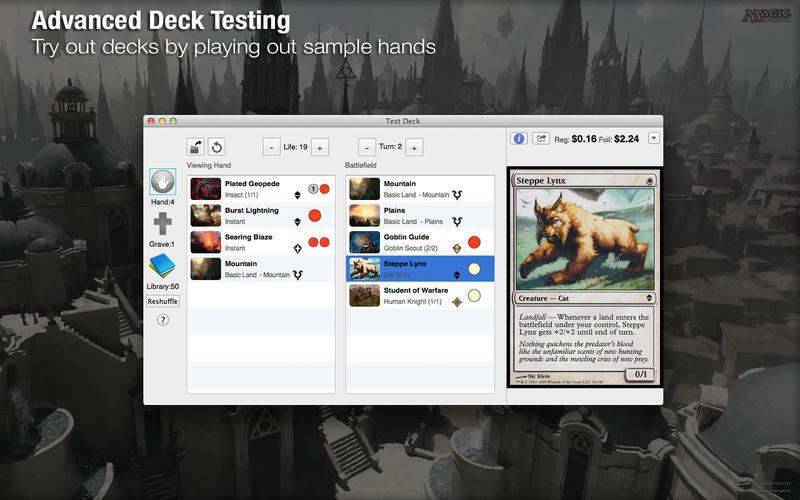 Upgrade to the full version to have access to every Magic card from Alpha to the latest set.